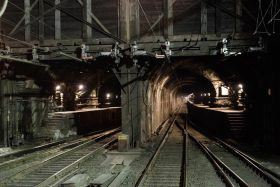 According to a report released Thursday by the federal government, constructing a new rail tunnel under the Hudson River and repairing the existing one could cost nearly $13 billion, almost a 50 percent increase from an earlier $7.7 billion estimate. 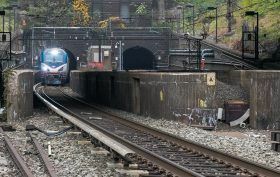 Transit officials say they are moving forward with the project because of its urgency; the two-track tunnel, which takes Amtrak riders and NJ Transit commuters to and from New York City, is over 100 years old and was severely damaged by Hurricane Sandy. According to Crain’s, the report, which evaluated the plan’s environmental and economic impacts, follows the recent withdrawal of the U.S. Transportation Department from the Gateway corporation board. Despite forming an infrastructure task force made up of two New York-based developers, the Trump administration has withdrawn from the board of the Gateway Program, a $23.9 billion project that would add a second rail beneath the Hudson River. According to the Wall Street Journal, the U.S. Department of Transportation (DOT) said it is not their “practice to serve in such a capacity on other local transportation projects.” As the number of commuters entering the city from NJ continues to grow, the purpose of the Gateway Program was to double rail capacity between the two states as well as fix the Hudson River tunnel’s crumbling infrastructure, which was damaged by severe flooding during Hurricane Sandy. If one of the two tubes needs to be shut down before a new tunnel is built, train capacity into NY would be reduced by 75 percent.